Blake Bell News: Steve Ditko Archives v1 translated into Spanish! Steve Ditko Archives v1 translated into Spanish! You know you've made it when your work is available in two languages! 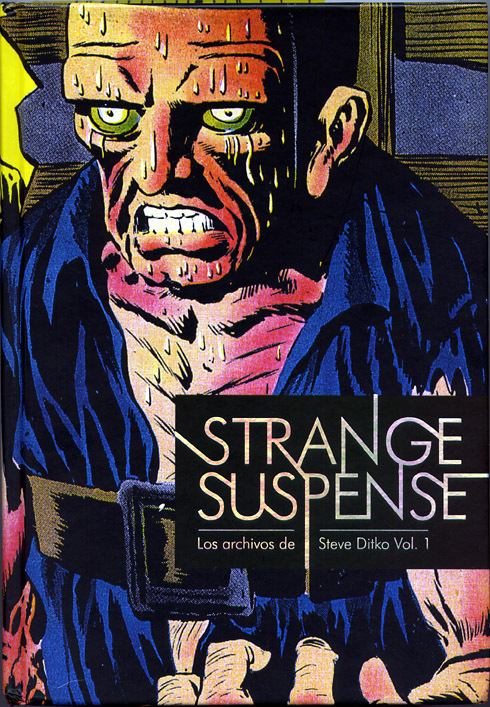 Recently, Fantagraphics worked out a deal with Spanish publisher Diabolo Ediciones to translate and publish my Strange Suspense: The Steve Ditko Archives v1 in Spain! 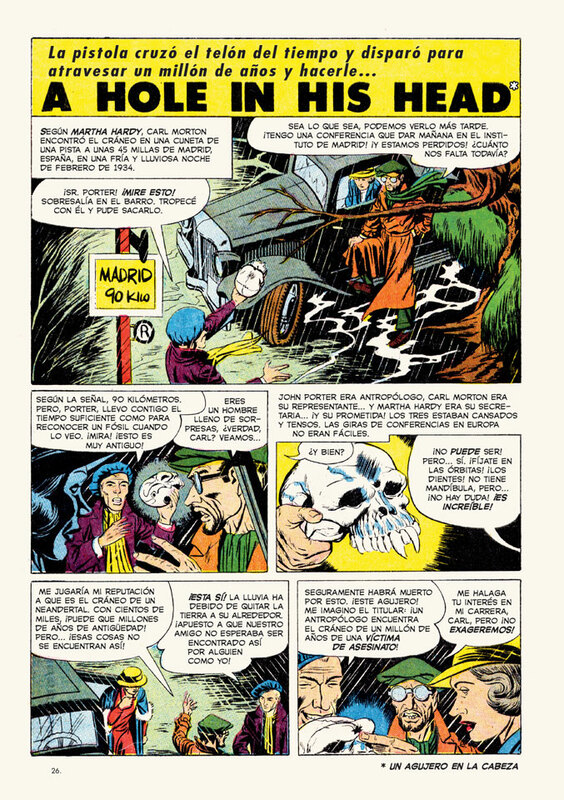 Click on the publisher's link above to see a selection of the interior pages of the book which literally translates all the word balloons into Spanish. That's a lot of pre-Code Ditko material in a second language! Click on the book's cover to your right to see the Spanish cover for "Los Archivos de Steve Ditko Vol. 1"! To your right is the splash to Ditko's "Hold In His Head!" story from Black Magic #27, one of Ditko's very first stories from back in 1953. Interestingly, on the interior pages, the publisher didn't translate the story title, but did translate it on the Table of Contents page. Hopefully, we'll see more of The Steve Ditko Archives, and my Bill Everett works, translated into other languages across the globe!